The Lapierre Overvolt AM 627i 27.5” Full Suspension Electric Mountain Bike is ready to take on the most demanding of trails. With electrical assistance from the Shimano STEPS system, trails that were previously inaccessible, can now be tamed. Taking care of suspension duties at the rear is the Fox Float DPX 2 shock, which is mounted to the lower part of the frame placing the weight lower down. 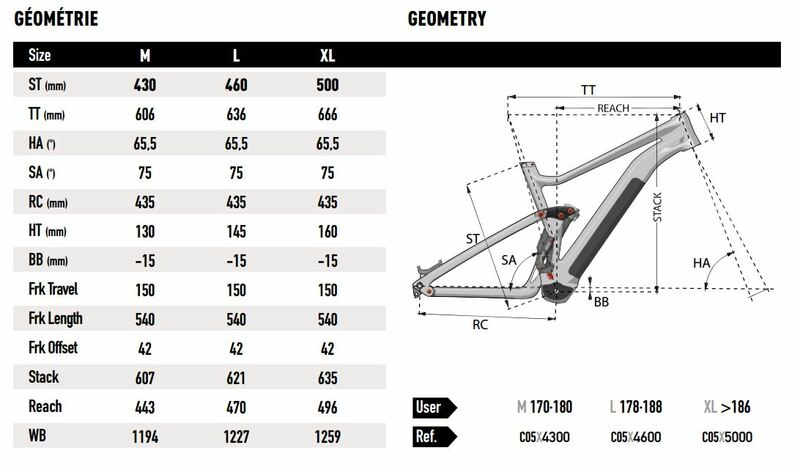 This is paired to a Fox 36 Float 27.5 Ebike Performance Series L Fork offering 160mm of suspension travel front and rear. PLEASE NOTE THIS IS ONLY A SIZE GUIDE.